Passenger Car and Light Commercial Vehicle Market's administrative council meeting held on 29th of March 2013. In the meeting, it is decided that 15th Istanbul Autoshow Fair will be organized between 30th of October and 9th of December in TUYAP Exhibition Center. The Passenger Car and Light Commercial Vehicle Market’s administrative council meeting was held on 29th of March 2013. At the meeting, it was decided that 15th Istanbul Autoshow Fair would be held between 30th of October and 9th of December at the TUYAP Exhibition Center. The Passenger Car and Light Commercial Vehicle Market is fulfilling a great task by supporting research into the automotive sector, a steadily growing segment of the Turkish economy since the early 1990’s. To date, 7.3 million visitors have interfaced with the many companies of the automotive sector in an exhibition area of over 1,600,000 thousand square meters. 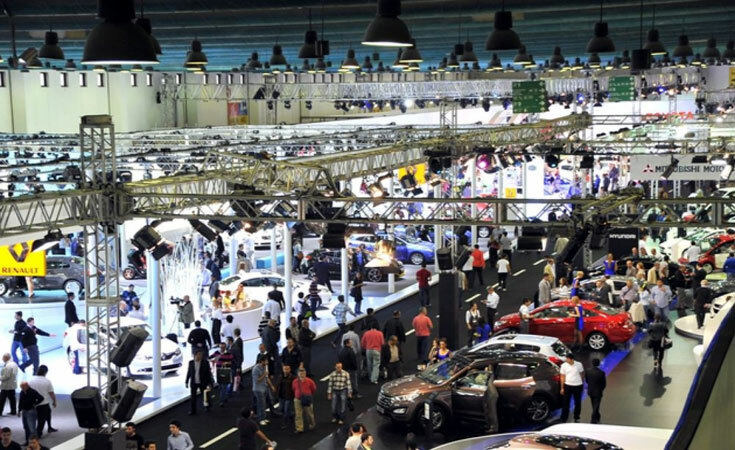 The Istanbul Autoshow Fair held in 2012 at TUYAP opened with the slogan, “Sector’s Showdown”. 500 new models from 42 companies were exhibited together for the first time demonstrating the truth of the slogan. Four companies made their international debut while one company was introduced to the European market and 31 companies were introduced across Turkey. The Showdown was popular with visitors. 576, 304 people visited the exhibition hall spread out over12 salons and covering 50,000 square meters. The exhibition is successful in bringing together the sector’s companies together in order for them to host their guests in a unique environment.